Ultherapy® is a new type of non-surgical, non-invasive facial rejuvenation procedure that uses ultrasound and the body’s own natural healing process to lift, tone, and tighten loose skin on the brow, neck, under the chin and torso. The only FDA-cleared procedure to lift skin on these hard-to-treat areas, Ultherapy® uses the safe, time-tested energy of ultrasound to stimulate the deep structural support layers of the skin-including those typically addressed in a surgical facelift-without disturbing the surface of the skin. Jowls, turkey neck and loose skin, meet your match! Unlike lasers, which penetrate the skin from the outside-in, Ultherapy® bypasses the surface of the skin, specifically targeting the deep, structural skin tissues where collagen lives. 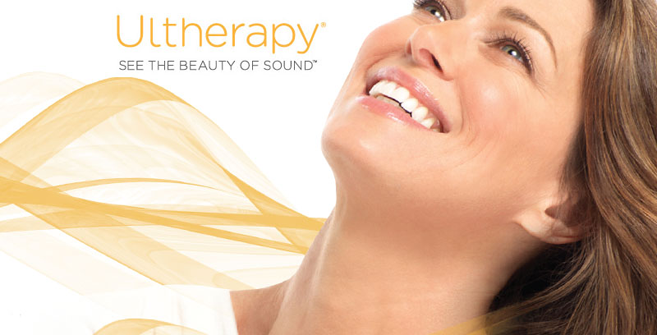 Using ultrasound technology, Ultherapy® actually works from the inside-out to lift and tighten skin non-invasively. In some ways, Ultherapy® is just like an ultrasound imaging procedure that expectant mothers may receive. A smooth hand piece is placed on your skin and an image of the tissue beneath is projected on a screen. This allows your practitioner to “see” where they will treat your skin. But here’s the difference: with Ultherapy®, that same hand piece is also used to deliver tiny deposits of focused ultrasound energy at just the right depth below the skin, to the same foundational layer typically addressed in a surgical facelift. Your body’s response to this energy is to recondition tired skin by stimulating the growth of fresh, new collagen. The result is a tightening and gradual lifting-or shifting-of the skin back into a more youthful position and form-fitting shape. Just a healthy revving-up on the inside for a natural, noticeable effect on the outside. 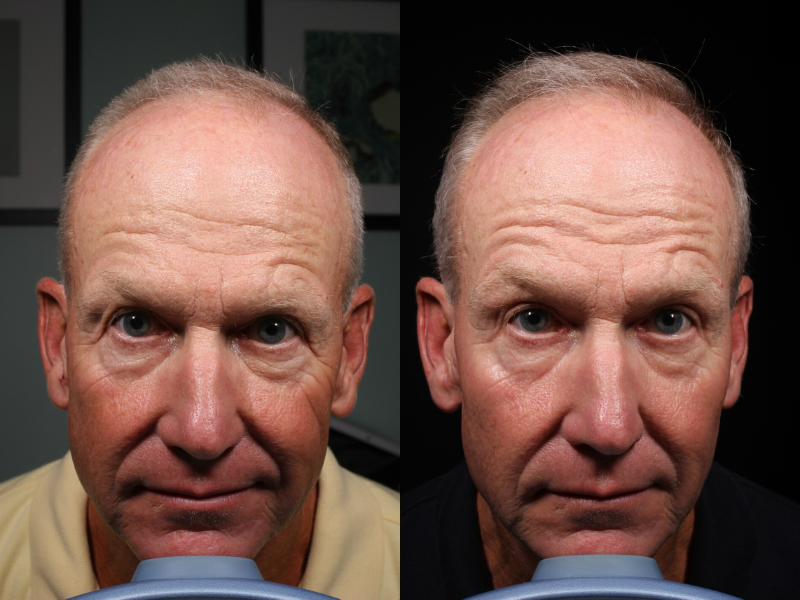 With Ultherapy®, you can go about your day after a single, 60-90 minute in-office procedure. 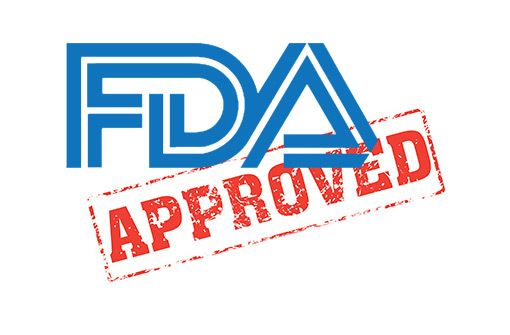 The FDA-cleared Ultherapy® procedure has been established to be safe and effective in clinical studies and over 100,000 patient treatments worldwide. In addition, every Ultherapy® practitioner is provided with procedural training and tools, so you can schedule your Ultherapy® treatment with complete confidence. An Ultherapy® procedure typically takes around 60 minutes, but will depend on the area to be treated and the treatment plan determined by your practitioner. There are no special after-care requirements and you can resume your normal activities immediately. No preparation whatsoever is required before your Ultherapy® procedure, although your practitioner may recommend that comfort measures such as over-the-counter or prescribed medication be taken prior to treatment. After cleansing the skin and identifying the specific areas to be treated, an ultrasound gel is applied and the smooth hand piece is placed upon your skin. The focused ultrasound energy bypasses the surface of your skin and is delivered to pre-planned depths within the tissue below to stimulate collagen growth. Comfort levels vary from patient to patient and can depend on the area treated as well. Your practitioner will discuss options for making the experience as pleasant as possible. The sensation you experience is associated with the focused ultrasound energy as it is deposited below the surface of the skin. It is noticeable just while the energy is being delivered and patients typically leave comfortable and excited about the benefits to come. 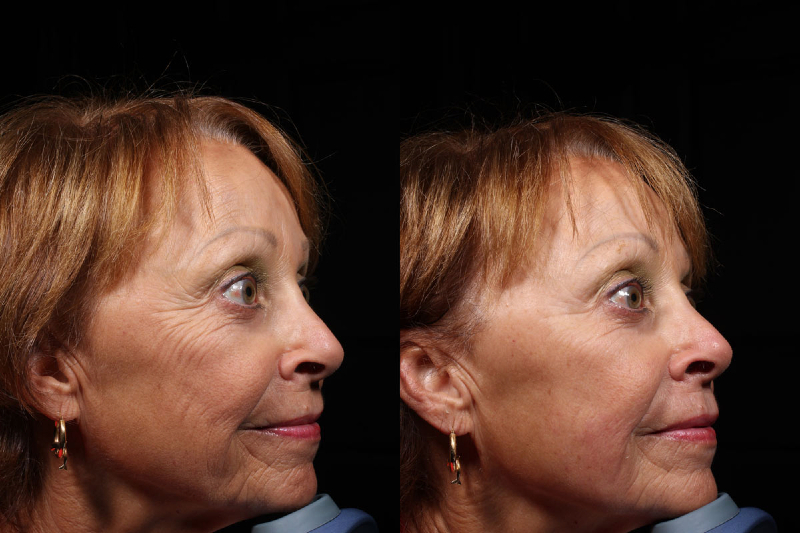 Results will unfold over the course of 2-3 months and some patients have reported continued improvement for up to 6 months, including lifting and tightening of the skin on the neck, under the chin, along the jawline, and on the brow. While ultrasound does not duplicate the results of surgery, Ultherapy® has proven to be an inviting alternative for those who are not yet ready for surgery. 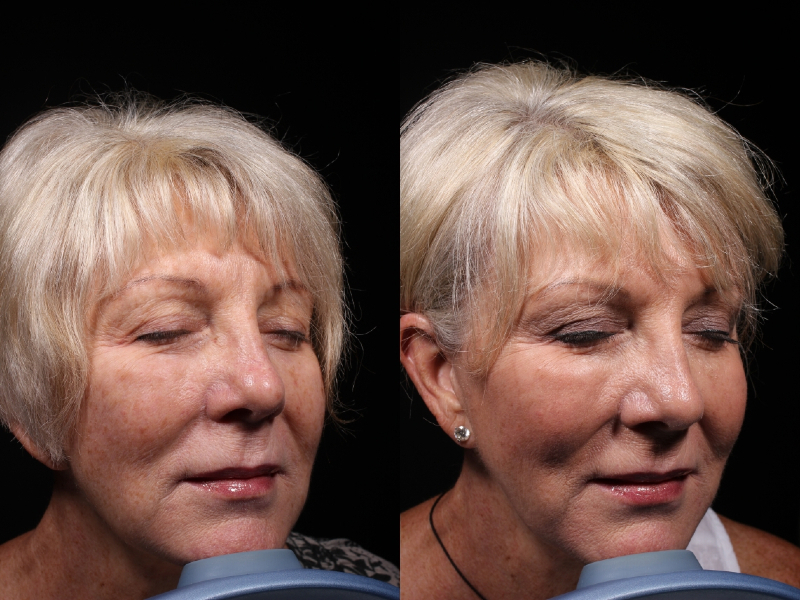 Duration: Ultherapy does a good job of “turning back the clock”, the normal aging process continues of course. Most of our patients like their result and choose to have another treatment 1.5 to 2 years later. Ultherapy® is a non-surgical treatment that uses ultrasound to actually lift and tone loose or sagging skin without any downtime. Ultherapy® is the only non-invasive treatment that can specifically target the deep foundation below the skin that is addressed in cosmetic surgery without cutting or disrupting the surface of the skin. It is also the only procedure to use ultrasound imaging, which allows us to actually see the layers of tissue we target during treatment and ensure the energy is deposited precisely to where it will be most effective. 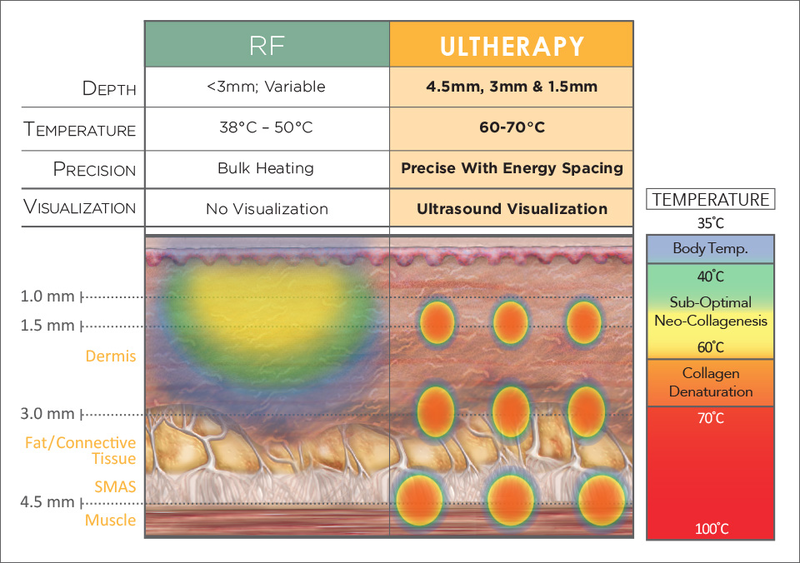 What kind of technology does Ultherapy® use? Ultherapy® uses tried-and-true ultrasound technology, which has received FDA clearance for use in this new type of medical procedure. Ultherapy® deposits focused ultrasound energy below the surface of the skin to stimulate the body’s creation of new collagen. As a result, skin will actually begin to lift and tone over time. What does collagen do? How does Ultherapy® stimulate the creation of collagen? Collagen is a natural protein that gives skin its youthfulness by keeping it firmed, toned and elastic. As we age, collagen loses its elasticity and its ability to stand up to the effects of gravity that pull the skin downward. Ultherapy® jump starts a repair process that produces fresh, new collagen. No. Unlike a face lift, Ultherapy® is a non-invasive procedure that addresses the skin and support layers below it, but doesn’t entail cutting or disrupting the surface of the skin. 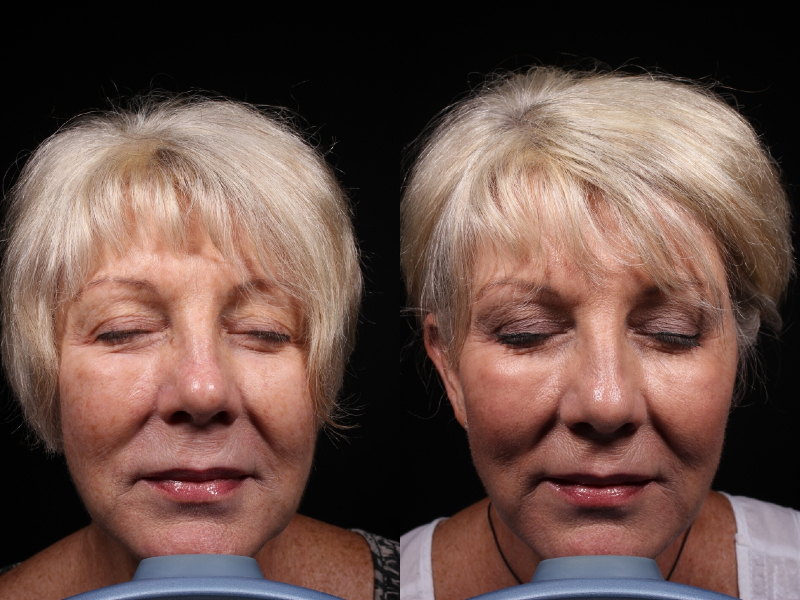 Ultherapy® is an “uplift” not a “face lift.” While it is not a replacement for surgery, it is a viable option for those not ready for a face lift or those looking to prolong the effects of cosmetic surgery. How is Ultherapy® different from lasers? Lasers typically address issues in the superficial layers of the skin (e.g. fine lines, wrinkles, pigment changes). Ultherapy® addresses the deep skin layer and the foundational layer addressed in cosmetic surgery that lift and lend support to the skin. Therefore, the two technologies are quite complementary! 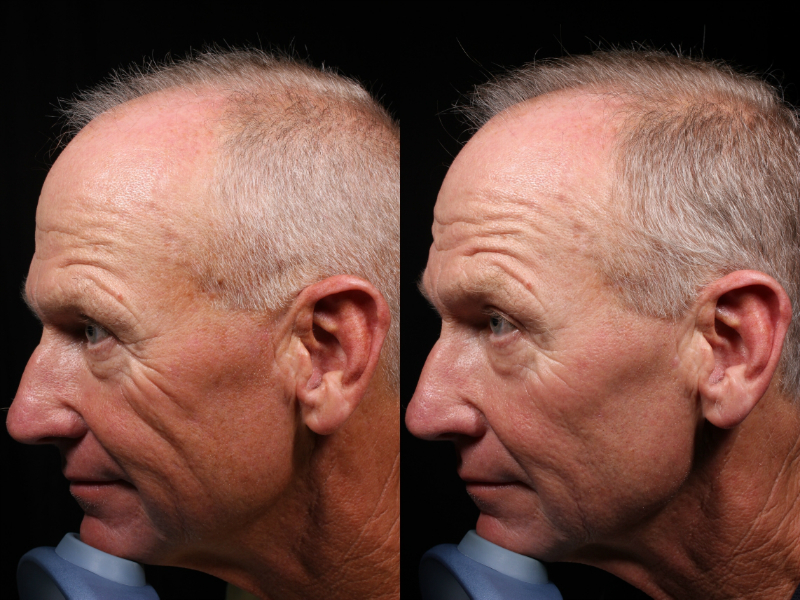 Ultherapy® is an entirely non-invasive procedure and as such, there is no downtime. You are able to return to your normal activities right away, and there are no special measures you need to take.